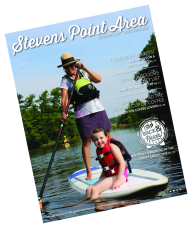 If you love to get outdoors, the Stevens Point Area is the perfect place for you. Scenic hiking options like the Green Circle Trail (including the Schmeeckle Reserve) and the Stevens Point Sculpture Park will make your next walk in the woods a relaxing one. Learn more about hiking trails here.